In this post-Brexit farce, politics, wit, and sharp one-liners are on the menu. 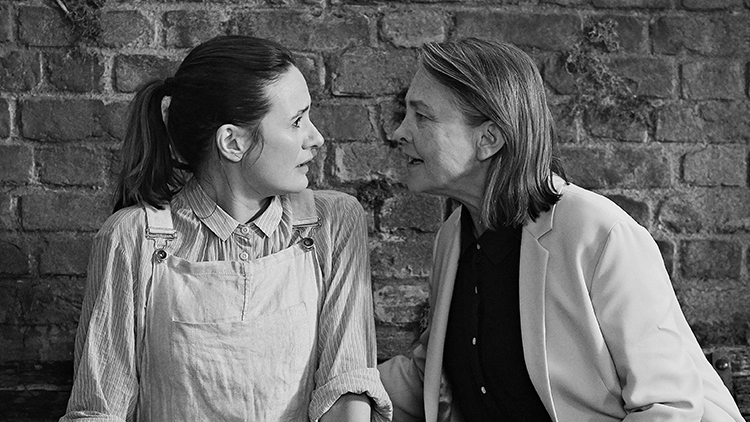 Sally Potter has always worked outside the box, casting a young Tilda Swinton as the gender-swapping lead in her take on Virginia Woolf’s Orlando and challenging Joan Allen to speak in iambic pentameter in the undersung Yes. Though still thinking big, the filmmaker pares down her craft with The Party, a London-set comedy of (very bad) manners that, in a slim 71 minutes, packs in enough class-conscious wit and shredding one-liners for three great dramedies.